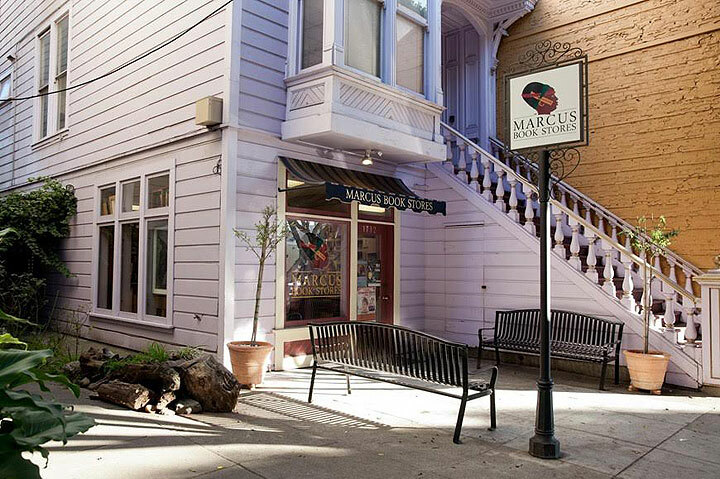 Marcus Books at 1712 Fillmore Street before its 2014 eviction. The former site of Marcus Books on 1712 Fillmore Street was once a bustling bright purple Victorian bookstore. It is now an upscale beauty store painted white with blue trim. How does this story of gentrification, displacement, and eviction connect to historical patterns of Black displacement in San Francisco? Julian Richardson, co-founder of Marcus Books, c. 1980s. Why was Marcus Books and the family that ran the bookstore displaced? A family member of the Marcus Books proprietors took out a predatory loan and missed a couple payments, “not such a rare thing considering that at the same time the largest US banks and even our government asked taxpayers to give them hundreds of billions of dollars of assistance,” note the Johnsons. (6,7) The mortgage holder foreclosed on their building and the building was sold in a bankruptcy sale to the Sweis family (owners of the Royal Taxi Company, realtors, and the only bidders) for $1.6 million. The Sweis family requested $2.6 million to sell back the house to the former owners. When only $1.85 million was produced, the Sweis family filed to evict the previous owners, Karen and Greg Johnson, and the generations of their family that lived in the upstairs residence. The city government did not intervene. (8) Ironically, during the historic 1968 student protests at San Francisco State University, the Richardsons paid bail for more than 100 arrested students by putting up their home as collateral. (9) The family owned bookstore has since closed, and the space now operates as an upscale beauty store. This all speaks to the continued erosion of the remaining Black community in San Francisco, predicated on City development policies that work to disadvantage people of color and the working-class. Marcus Books, however, is slated to once again return to the Fillmore and San Francisco. Recently, Marcus Books celebrated its collaboration with the African American Arts and Culture Complex (AAACC) in the Fillmore where Marcus Books will set up a bookstore in the first floor lobby of the complex. Make sure to visit the return of Marcus Books at the AAACC located in the Fillmore District at 762 Fulton Street, San Francisco! A second Marcus Books bookstore also operates in Oakland at 3900 Martin Luther King Jr. Way and is definitely worth visiting and browsing. Musical performance outside Marcus Books. 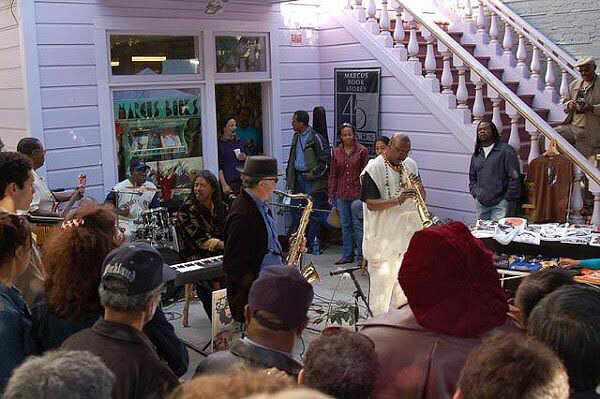 Marcus Books would regularly hold musical performances outside of the bookstore. 1. Danaparamita, Aria. 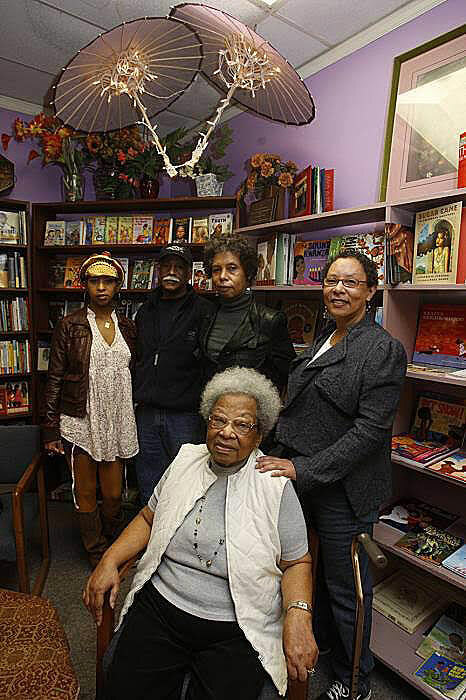 “Marcus Books: Oldest African-American Bookstore Fights to Stay Open.” National Trust for Historic Preservation. August 13, 2013. 2. Bevk, Alex. “1712-1716 Fillmore Street is San Francisco’s Newest Landmark.” Curbed SF. January 31, 2014. 3. Kamiya, Gary. Cool Gray City of Love: 49 Views of San Francisco. New York: Bloomsbury, 2013. 5. Chamberland, Carol. “Jimbo’s Bop City.” Found SF. 6. Bowe, Rebecca. “Marcus Books can stay if it can raise $1 million.” 48 Hills. December 5, 2013. 7. Bowe, Rebecca. 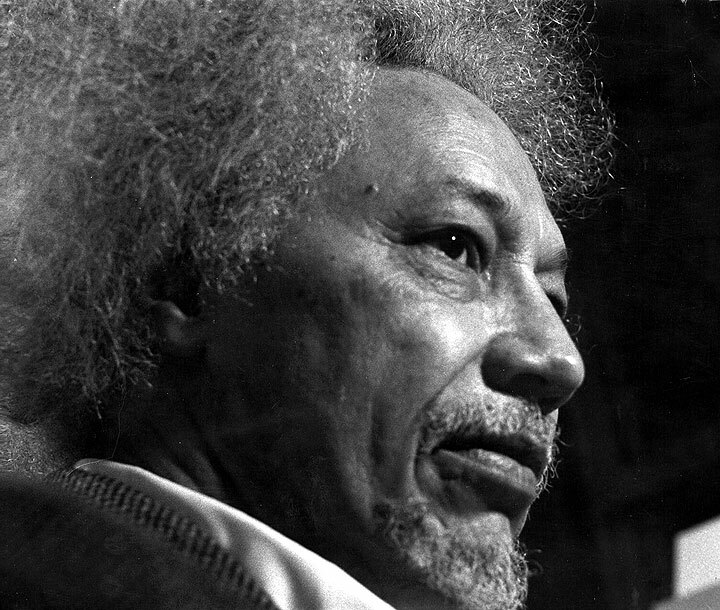 “Marcus Books of San Francisco evicted.” 48 Hills. May 8, 2014. 9. Lamb, Jonah Owen. “Country’s oldest bookstore evicted.” San Francisco Examiner. May 9, 2014.